There’s no need to compromise on quality when you drive home in a certified pre-owned vehicle from Mercedes-Benz of Warwick. We have plenty of Mercedes-Benz vehicles in stock as well as a rotating selection of pre-owned vehicle exclusive offers. 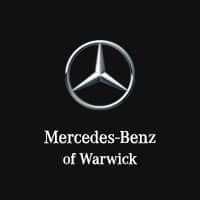 We carefully inspect each model for quality, so you know your next certified pre-owned vehicle will be up to the high standards of Mercedes-Benz of Warwick. After you’ve perused our inventory online, make your way to our dealership in Warwick for a closer look and to learn more about used vs. CPO. HEATED FRONT SEATS, ALL SEASON TIRES, BURL WALNUT WOOD TRIM, SEAT COMFORT PACKAGE, LIGHT & SIGHT PACKAGE, ECO START/STOP. Priced below KBB Fair Purchase Price! Certified. Mercedes-Benz Certified Pre-Owned Details: * Includes Trip Interruption Reimbursement and 7 days/500 miles Exchange Privilege * 165 Point Inspection * Vehicle History * Limited Warranty: 12 Month/Unlimited Mile beginning after new car warranty expires or from certified purchase date * Warranty Deductible: $0 * Roadside Assistance * Transferable Warranty CARFAX One-Owner. Odometer is 11868 miles below market average! 26/38 City/Highway MPG Cirrus White on Beige.HEATED FRONT SEATS, ALL SEASON TIRES, BURL WALNUT WOOD TRIM, SEAT COMFORT PACKAGE, LIGHT & SIGHT PACKAGE, ECO START/STOP. PREMIUM ONE PACKAGE, SIRIUS XM SATELLITE RADIO, HEATED FRONT SEATS, BURMESTER PREMIUM SURROUND SOUND SYSTEM, MULTIMEDIA PACKAGE, COMMAND NAVIGATION, BACKUP CAMERA, PANORAMIC SUNROOF, COLLISION PREVENTION ASSIST PLUS, RAIN SENSING WINDSHIELD WIPERS, POWER TAILGATE, AND MUCH MORE! !, $42,220 ORIGINAL MSRP!!. Certified. Mercedes-Benz Certified Pre-Owned Details: * 165 Point Inspection * Includes Trip Interruption Reimbursement and 7 days/500 miles Exchange Privilege * Roadside Assistance * Warranty Deductible: $0 * Vehicle History * Transferable Warranty * Limited Warranty: 12 Month/Unlimited Mile beginning after new car warranty expires or from certified purchase date 24/32 City/Highway MPG Mountain Gray Metallic on Black.PREMIUM ONE PACKAGE, SIRIUS XM SATELLITE RADIO, HEATED FRONT SEATS, BURMESTER PREMIUM SURROUND SOUND SYSTEM, MULTIMEDIA PACKAGE, COMMAND NAVIGATION, BACKUP CAMERA, PANORAMIC SUNROOF, COLLISION PREVENTION ASSIST PLUS, RAIN SENSING WINDSHIELD WIPERS, POWER TAILGATE, AND MUCH MORE! !, $42,220 ORIGINAL MSRP!!. Mountain Gray Metallic on Black. PREMIUM ONE PACKAGE, SIRIUS XM SATELLITE RADIO, COMFORT ACCESS, HEATED FRONT SEATS, BURMESTER PREMIUM SURROUND SOUND, GARMIN MAP PILOT® NAVIGATION, BACKUP CAMERA, PANORAMIC POWER SUNROOF, DYNAMIC SELECT, COLLISION PREVENTION ASSIST PLUS, RAIN SENSING WINDSHIELD WIPERS, POWER TAILGATE, AND MUCH MORE! !, $42,135 ORIGINAL MSRP!!. Priced below KBB Fair Purchase Price! Certified. Mercedes-Benz Certified Pre-Owned Details: * Vehicle History * Includes Trip Interruption Reimbursement and 7 days/500 miles Exchange Privilege * Warranty Deductible: $0 * Roadside Assistance * 165 Point Inspection * Transferable Warranty * Limited Warranty: 12 Month/Unlimited Mile beginning after new car warranty expires or from certified purchase date CARFAX One-Owner. Clean CARFAX. 24/32 City/Highway MPG South Seas Blue Metallic on Ash.PREMIUM ONE PACKAGE, SIRIUS XM SATELLITE RADIO, COMFORT ACCESS, HEATED FRONT SEATS, BURMESTER PREMIUM SURROUND SOUND, GARMIN MAP PILOT® NAVIGATION, BACKUP CAMERA, PANORAMIC POWER SUNROOF, DYNAMIC SELECT, COLLISION PREVENTION ASSIST PLUS, RAIN SENSING WINDSHIELD WIPERS, POWER TAILGATE, AND MUCH MORE! !, $42,135 ORIGINAL MSRP!!. South Seas Blue Metallic on Ash. BACKUP CAMERA, PANORAMIC SUNROOF, BURMESTER PREMIUM SURROUND SOUND, HEATED FRONT SEATS, COMFORT ACCESS, DYNAMIC SELECT, COLLISION PREVENTION ASSIST PLUS, RAIN SENSING WINDSHIELD WIPERS, AND MUCH MORE! !, $40,855 ORIGINAL MSRP!!. Certified. Mercedes-Benz Certified Pre-Owned Details: * Includes Trip Interruption Reimbursement and 7 days/500 miles Exchange Privilege * Roadside Assistance * Transferable Warranty * 165 Point Inspection * Warranty Deductible: $0 * Vehicle History * Limited Warranty: 12 Month/Unlimited Mile beginning after new car warranty expires or from certified purchase date CARFAX One-Owner. Clean CARFAX. Odometer is 2836 miles below market average! 24/32 City/Highway MPG Mountain Gray Metallic on Ash.BACKUP CAMERA, PANORAMIC SUNROOF, BURMESTER PREMIUM SURROUND SOUND, HEATED FRONT SEATS, COMFORT ACCESS, DYNAMIC SELECT, COLLISION PREVENTION ASSIST PLUS, RAIN SENSING WINDSHIELD WIPERS, AND MUCH MORE! !, $40,855 ORIGINAL MSRP!!. PREMIUM ONE PACKAGE, SIRIUS XM SATELLITE RADIO, COMFORT ACCESS, HEATED FRONT SEATS, BURMESTER PREMIUM SURROUND SOUND SYSTEM, MULTIMEDIA PACKAGE, COMMAND NAVIGATION, BACKUP CAMERA, ILLUMINATED FRONT EXTERIOR STAR, POWER SLIDING PANORAMIC SUNROOF, DYNAMIC SELECT, BI-XENON FRONT HEADLIGHTS, COLLISION PREVENTION ASSIST PLUS, RAIN SENSING WINDSHIELD WIPERS, AND MUCH MORE! !, $43,875 ORIGINAL MSRP!!. Certified. Mercedes-Benz Certified Pre-Owned Details: * Roadside Assistance * Transferable Warranty * 165 Point Inspection * Limited Warranty: 12 Month/Unlimited Mile beginning after new car warranty expires or from certified purchase date * Vehicle History * Warranty Deductible: $0 * Includes Trip Interruption Reimbursement and 7 days/500 miles Exchange Privilege CARFAX One-Owner. 24/32 City/Highway MPG Cirrus White on Black.PREMIUM ONE PACKAGE, SIRIUS XM SATELLITE RADIO, COMFORT ACCESS, HEATED FRONT SEATS, BURMESTER PREMIUM SURROUND SOUND SYSTEM, MULTIMEDIA PACKAGE, COMMAND NAVIGATION, BACKUP CAMERA, ILLUMINATED FRONT EXTERIOR STAR, POWER SLIDING PANORAMIC SUNROOF, DYNAMIC SELECT, BI-XENON FRONT HEADLIGHTS, COLLISION PREVENTION ASSIST PLUS, RAIN SENSING WINDSHIELD WIPERS, AND MUCH MORE! !, $43,875 ORIGINAL MSRP!!. PREMIUM ONE PACKAGE, SIRIUS XM SATELLITE RADIO, COMFORT ACCESS, HEATED FRONT SEATS, BURMESTER PREMIUM SURROUND SOUND SYSTEM, MULTIMEDIA PACKAGE, COMMAND NAVIGATION, ILLUMINATED FRONT EXTERIOR STAR, PANORAMIC POWER SLIDING SUNROOF, DYNAMIC SELECT, COLLISION PREVENTION ASSIST PLUS, RAIN SENSING WINDSHIELD WIPERS, POWER TAILGATE, AND MUCH MORE! !, $43,745 ORIGINAL MSRP!!. Certified. Mercedes-Benz Certified Pre-Owned Details: * Vehicle History * 165 Point Inspection * Warranty Deductible: $0 * Transferable Warranty * Limited Warranty: 12 Month/Unlimited Mile beginning after new car warranty expires or from certified purchase date * Includes Trip Interruption Reimbursement and 7 days/500 miles Exchange Privilege * Roadside Assistance CARFAX One-Owner. Odometer is 5081 miles below market average! 24/32 City/Highway MPG Mountain Gray Metallic on Black.PREMIUM ONE PACKAGE, SIRIUS XM SATELLITE RADIO, COMFORT ACCESS, HEATED FRONT SEATS, BURMESTER PREMIUM SURROUND SOUND SYSTEM, MULTIMEDIA PACKAGE, COMMAND NAVIGATION, ILLUMINATED FRONT EXTERIOR STAR, PANORAMIC POWER SLIDING SUNROOF, DYNAMIC SELECT, COLLISION PREVENTION ASSIST PLUS, RAIN SENSING WINDSHIELD WIPERS, POWER TAILGATE, AND MUCH MORE! !, $43,745 ORIGINAL MSRP!!. PREMIUM ONE PACKAGE, COMMAND NAVIGATION, SIRIUS XM SATELLITE RADIO, POWER FOLDING MIRRORS, POWER REAR SUNSHADE, AMG® SPORT APPEARANCE PACKAGE, COMFORT ACCESS, ELECTRONIC TRUNK CLOSER, LANE TRACKING PACKAGE, LANE KEEPING ASSIST, BACK UP CAMERA, HARMON KARDON PREMIUM SURROUND SOUND SYSTEM, HEATED FRONT SEATS, DUAL POWER FRONT SEATS WITH MEMORY, AND MUCH MORE! !, $63,880 ORIGINAL MSRP!!. Certified. Mercedes-Benz Certified Pre-Owned Details: * 165 Point Inspection * Limited Warranty: 12 Month/Unlimited Mile beginning after new car warranty expires or from certified purchase date * Includes Trip Interruption Reimbursement and 7 days/500 miles Exchange Privilege * Roadside Assistance * Transferable Warranty * Warranty Deductible: $0 * Vehicle History CARFAX One-Owner. Clean CARFAX. 20/28 City/Highway MPG Black on Black.PREMIUM ONE PACKAGE, COMMAND NAVIGATION, SIRIUS XM SATELLITE RADIO, POWER FOLDING MIRRORS, POWER REAR SUNSHADE, AMG® SPORT APPEARANCE PACKAGE, COMFORT ACCESS, ELECTRONIC TRUNK CLOSER, LANE TRACKING PACKAGE, LANE KEEPING ASSIST, BACK UP CAMERA, HARMON KARDON PREMIUM SURROUND SOUND SYSTEM, HEATED FRONT SEATS, DUAL POWER FRONT SEATS WITH MEMORY, AND MUCH MORE! !, $63,880 ORIGINAL MSRP!!. PREMIUM ONE PACKAGE, COMMAND NAVIGATION, SIRIUS XM SATELLITE RADIO, POWER REAR SUNSHADE, POWER FOLDING MIRRORS, LIGHTING PACKAGE, FULL LED HEADLIGHTS, ADAPTIVE HIGH BEAM ASSIST, AMG® SPORT PACKAGE, AMG® SPORT SUSPENSION, COMFORT ACCESS, ELECTRONIC TRUNK CLOSER, LANE TRACKING PACKAGE, LANE KEEPING ASSIST, BACKUP CAMERA, HARMON KARDON PREMIUM SURROUND SOUND SYSTEM, HEATED FRONT SEATS, RAIN SENSING WINDSHIELD WIPERS, AND MUCH MORE! !, $65,380 ORIGINAL MSRP!!. Certified. Mercedes-Benz Certified Pre-Owned Details: * Vehicle History * Limited Warranty: 12 Month/Unlimited Mile beginning after new car warranty expires or from certified purchase date * 165 Point Inspection * Includes Trip Interruption Reimbursement and 7 days/500 miles Exchange Privilege * Transferable Warranty * Roadside Assistance * Warranty Deductible: $0 CARFAX One-Owner. Clean CARFAX. Odometer is 9005 miles below market average! 20/28 City/Highway MPG Polar White on Silk Beige/Black.PREMIUM ONE PACKAGE, COMMAND NAVIGATION, SIRIUS XM SATELLITE RADIO, POWER REAR SUNSHADE, POWER FOLDING MIRRORS, LIGHTING PACKAGE, FULL LED HEADLIGHTS, ADAPTIVE HIGH BEAM ASSIST, AMG® SPORT PACKAGE, AMG® SPORT SUSPENSION, COMFORT ACCESS, ELECTRONIC TRUNK CLOSER, LANE TRACKING PACKAGE, LANE KEEPING ASSIST, BACKUP CAMERA, HARMON KARDON PREMIUM SURROUND SOUND SYSTEM, HEATED FRONT SEATS, RAIN SENSING WINDSHIELD WIPERS, AND MUCH MORE! !, $65,380 ORIGINAL MSRP!!. PREMIUM ONE PACKAGE, SIRIUS XM SATELLITE RADIO, COMFORT ACCESS, MULTIMEDIA PACKAGE, COMMAND NAVIGATION, DRIVERS ASSISTANCE PACKAGE, DISTRONIC PLUS®, ACTIVE LANE KEEPING ASSIST, ACTIVE BLIND SPOT ASSIST, BACKUP CAMERA, POWER PANORAMIC SUNROOF, HEATED STEERING WHEEL, HEATED FRONT SEATS, RAIN SENSING WINDSHIELD WIPERS, POWER FOLDING MIRRORS, AND MUCH MORE! !, $50,845 ORIGINAL MSRP!!. Priced below KBB Fair Purchase Price! Certified. Mercedes-Benz Certified Pre-Owned Details: * Roadside Assistance * 165 Point Inspection * Limited Warranty: 12 Month/Unlimited Mile beginning after new car warranty expires or from certified purchase date * Includes Trip Interruption Reimbursement and 7 days/500 miles Exchange Privilege * Vehicle History * Warranty Deductible: $0 * Transferable Warranty CARFAX One-Owner. Clean CARFAX. Odometer is 1157 miles below market average! 21/28 City/Highway MPG Lunar on Silk Beige/Black.PREMIUM ONE PACKAGE, SIRIUS XM SATELLITE RADIO, COMFORT ACCESS, MULTIMEDIA PACKAGE, COMMAND NAVIGATION, DRIVERS ASSISTANCE PACKAGE, DISTRONIC PLUS®, ACTIVE LANE KEEPING ASSIST, ACTIVE BLIND SPOT ASSIST, BACKUP CAMERA, POWER PANORAMIC SUNROOF, HEATED STEERING WHEEL, HEATED FRONT SEATS, RAIN SENSING WINDSHIELD WIPERS, POWER FOLDING MIRRORS, AND MUCH MORE! !, $50,845 ORIGINAL MSRP!!. PREMIUM ONE PACKAGE, SIRIUS XM SATELLITE RADIO, COMFORT ACCESS, MULTIMEDIA PACKAGE, COMMAND NAVIGATION, AMG® SPORT APPEARANCE PACKAGE, AMG® BODY STYLING, BACKUP CAMERA, POWER SLIDING PANORAMIC SUNROOF, BURMESTER PREMIUM SURROUND SOUND SYSTEM, HEATED FRONT SEATS, AND MUCH MORE! !, $51,335 ORIGINAL MSRP!!. Certified. Mercedes-Benz Certified Pre-Owned Details: * Limited Warranty: 12 Month/Unlimited Mile beginning after new car warranty expires or from certified purchase date * Vehicle History * Includes Trip Interruption Reimbursement and 7 days/500 miles Exchange Privilege * Roadside Assistance * Transferable Warranty * 165 Point Inspection * Warranty Deductible: $0 CARFAX One-Owner. Clean CARFAX. 21/28 City/Highway MPG Polar White on Black.PREMIUM ONE PACKAGE, SIRIUS XM SATELLITE RADIO, COMFORT ACCESS, MULTIMEDIA PACKAGE, COMMAND NAVIGATION, AMG® SPORT APPEARANCE PACKAGE, AMG® BODY STYLING, BACKUP CAMERA, POWER SLIDING PANORAMIC SUNROOF, BURMESTER PREMIUM SURROUND SOUND SYSTEM, HEATED FRONT SEATS, AND MUCH MORE! !, $51,335 ORIGINAL MSRP!!. PREMIUM ONE PACKAGE, COMMAND NAVIGATION, POWER REAR SUNSHADE, POWER FOLDING MIRRORS, SPORT PACKAGE, AMG® LOWERED SUSPENSION, COMFORT ACCESS, ELECTRONIC TRUNK CLOSER, LANE TRACKING PACKAGE, LANE KEEPING ASSIST, BACKUP CAMERA, HEATED STEERING WHEEL, HARMON KARDON PREMIUM SURROUND SOUND SYSTEM, HEATED FRONT SEATS, COLLISION PREVENTION ASSIST PLUS, POWER SLIDING SUNROOF, RAIN SENSING WINDSHIELD WIPERS, AND MUCH MORE! !, $62,730 ORIGINAL MSRP!!. Certified. Mercedes-Benz Certified Pre-Owned Details: * Transferable Warranty * Roadside Assistance * Limited Warranty: 12 Month/Unlimited Mile beginning after new car warranty expires or from certified purchase date * Includes Trip Interruption Reimbursement and 7 days/500 miles Exchange Privilege * Warranty Deductible: $0 * Vehicle History * 165 Point Inspection CARFAX One-Owner. Clean CARFAX. Odometer is 14870 miles below market average! 20/28 City/Highway MPG Polar White on Black.PREMIUM ONE PACKAGE, COMMAND NAVIGATION, POWER REAR SUNSHADE, POWER FOLDING MIRRORS, SPORT PACKAGE, AMG® LOWERED SUSPENSION, COMFORT ACCESS, ELECTRONIC TRUNK CLOSER, LANE TRACKING PACKAGE, LANE KEEPING ASSIST, BACKUP CAMERA, HEATED STEERING WHEEL, HARMON KARDON PREMIUM SURROUND SOUND SYSTEM, HEATED FRONT SEATS, COLLISION PREVENTION ASSIST PLUS, POWER SLIDING SUNROOF, RAIN SENSING WINDSHIELD WIPERS, AND MUCH MORE! !, $62,730 ORIGINAL MSRP!!. PREMIUM PACKAGE, SIRIUS XM, BACKUP CAMERA, PANORAMA ROOF, HEATED STEERING WHEEL, TRAILER HITCH, HEATED FRONT SEATS, COLLISION PREVENTION ASSIST PLUS, POWER LIFTGATE, AND MUCH MORE!!!!. Certified. Mercedes-Benz Certified Pre-Owned Details: * Warranty Deductible: $0 * Limited Warranty: 12 Month/Unlimited Mile beginning after new car warranty expires or from certified purchase date * 165 Point Inspection * Vehicle History * Includes Trip Interruption Reimbursement and 7 days/500 miles Exchange Privilege * Transferable Warranty * Roadside Assistance Clean CARFAX. Odometer is 2683 miles below market average! 21/28 City/Highway MPG Selenite Gray Metallic on Black.PREMIUM PACKAGE, SIRIUS XM, BACKUP CAMERA, PANORAMA ROOF, HEATED STEERING WHEEL, TRAILER HITCH, HEATED FRONT SEATS, COLLISION PREVENTION ASSIST PLUS, POWER LIFTGATE, AND MUCH MORE!!!!. PREMIUM PACKAGE, COLLISION PREVENTION ASSIST PLUS, SIRIUS XM, POWER LIFTGATE, MULTIMEDIA PACKAGE, 8.4 HIGH RESOLUTION DISPLAY, NAVIGATION, BACKUP CAMERA, PANORAMA ROOF, HEATED FRONT SEATS, AND MUCH MORE!. Priced below KBB Fair Purchase Price! Certified. Mercedes-Benz Certified Pre-Owned Details: * Vehicle History * Transferable Warranty * Limited Warranty: 12 Month/Unlimited Mile beginning after new car warranty expires or from certified purchase date * Includes Trip Interruption Reimbursement and 7 days/500 miles Exchange Privilege * Warranty Deductible: $0 * 165 Point Inspection * Roadside Assistance CARFAX One-Owner. Clean CARFAX. Odometer is 11129 miles below market average! 21/28 City/Highway MPG Black on Black.PREMIUM PACKAGE, COLLISION PREVENTION ASSIST PLUS, SIRIUS XM, POWER LIFTGATE, MULTIMEDIA PACKAGE, 8.4 HIGH RESOLUTION DISPLAY, NAVIGATION, BACKUP CAMERA, PANORAMA ROOF, HEATED FRONT SEATS, AND MUCH MORE!. PREMIUM ONE PACKAGE, SIRIUS XM SATELLITE RADIO, COMFORT ACCESS, MULTIMEDIA PACKAGE, COMMAND NAVIGATION, BACKUP CAMERA, POWER SLIDING PANORAMIC SUNROOF, HEATED STEERING WHEEL, BURMESTER PREMIUM SOUND SYSTEM, HEATED FRONT SEATS, AND MUCH MORE! !, $49,355 ORIGINAL MSRP!!. Certified. Mercedes-Benz Certified Pre-Owned Details: * Vehicle History * Roadside Assistance * Warranty Deductible: $0 * 165 Point Inspection * Limited Warranty: 12 Month/Unlimited Mile beginning after new car warranty expires or from certified purchase date * Includes Trip Interruption Reimbursement and 7 days/500 miles Exchange Privilege * Transferable Warranty CARFAX One-Owner. Clean CARFAX. Odometer is 4597 miles below market average! 21/28 City/Highway MPG Lunar Blue Metallic on Silk Beige/Black.PREMIUM ONE PACKAGE, SIRIUS XM SATELLITE RADIO, COMFORT ACCESS, MULTIMEDIA PACKAGE, COMMAND NAVIGATION, BACKUP CAMERA, POWER SLIDING PANORAMIC SUNROOF, HEATED STEERING WHEEL, BURMESTER PREMIUM SOUND SYSTEM, HEATED FRONT SEATS, AND MUCH MORE! !, $49,355 ORIGINAL MSRP!!. Lunar Blue Metallic on Silk Beige/Black. PREMIUM PACKAGE, SIRIUS XM, NAVIGATION, APPLE CARPLAY/ ANDROID AUTO, LANE TRACKING PACKAGE, LANE KEEP ASSIST, BACKUP CAMERA, HEATED STEERING WHEEL, HARMAN KARDON SURROUND SOUND STEREO SYSTEM, RUNNING BOARDS, POWER LIFTGATE, HEATED FRONT SEATS, SUNROOF, COLLISION PREVENTION ASSIST PLUS, AND MUCH MORE!, $60,845 ORIGINAL MSRP!!. Certified. Mercedes-Benz Certified Pre-Owned Details: * 165 Point Inspection * Roadside Assistance * Limited Warranty: 12 Month/Unlimited Mile beginning after new car warranty expires or from certified purchase date * Warranty Deductible: $0 * Transferable Warranty * Includes Trip Interruption Reimbursement and 7 days/500 miles Exchange Privilege * Vehicle History CARFAX One-Owner. Clean CARFAX. Lunar Blue Metallic on Black.PREMIUM PACKAGE, SIRIUS XM, NAVIGATION, APPLE CARPLAY/ ANDROID AUTO, LANE TRACKING PACKAGE, LANE KEEP ASSIST, BACKUP CAMERA, HEATED STEERING WHEEL, HARMAN KARDON SURROUND SOUND STEREO SYSTEM, RUNNING BOARDS, POWER LIFTGATE, HEATED FRONT SEATS, SUNROOF, COLLISION PREVENTION ASSIST PLUS, AND MUCH MORE!, $60,845 ORIGINAL MSRP!!. PREMIUM ONE PACKAGE, COMMAND NAVIGATION, COMFORT ACCESS, SIRIUS XM SATELLITE RADIO, SMARTPHONE INTEGRATION, APPLE CARPLAY/ANDROID AUTO, LANE TRACKING PACKAGE, LANE KEEPING ASSIST, BACKUP CAMERA, HEATED STEERING WHEEL, HARMON KARDON PREMIUM SURROUND SOUND SYSTEM, DYNAMIC SELECT, AND MUCH MORE! !, $62,170 ORIGINAL MSRP!!. Certified. Mercedes-Benz Certified Pre-Owned Details: * Warranty Deductible: $0 * Includes Trip Interruption Reimbursement and 7 days/500 miles Exchange Privilege * 165 Point Inspection * Vehicle History * Roadside Assistance * Transferable Warranty * Limited Warranty: 12 Month/Unlimited Mile beginning after new car warranty expires or from certified purchase date CARFAX One-Owner. Diamond Silver Metallic on Black.PREMIUM ONE PACKAGE, COMMAND NAVIGATION, COMFORT ACCESS, SIRIUS XM SATELLITE RADIO, SMARTPHONE INTEGRATION, APPLE CARPLAY/ANDROID AUTO, LANE TRACKING PACKAGE, LANE KEEPING ASSIST, BACKUP CAMERA, HEATED STEERING WHEEL, HARMON KARDON PREMIUM SURROUND SOUND SYSTEM, DYNAMIC SELECT, AND MUCH MORE! !, $62,170 ORIGINAL MSRP!!. Diamond Silver Metallic on Black. PREMIUM ONE PACKAGE, COMMAND NAVIGATION, COMFORT ACCESS, SIRIUS XM SATELLITE RADIO, SMARTPHONE INTEGRATION, APPLE CARPLAY/ANDROID AUTO, LANE TRACKING PACKAGE, LANE KEEPING ASSIST, BACKUP CAMERA, HEATED STEERING WHEEL, DYNAMIC SELECT, COLLISION PREVENTION ASSIST PLUS, HEATED FRONT SEATS, AND MUCH MORE! !, $59,275 ORIGINAL MSRP!!. Certified. Mercedes-Benz Certified Pre-Owned Details: * Transferable Warranty * Roadside Assistance * Limited Warranty: 12 Month/Unlimited Mile beginning after new car warranty expires or from certified purchase date * 165 Point Inspection * Vehicle History * Includes Trip Interruption Reimbursement and 7 days/500 miles Exchange Privilege * Warranty Deductible: $0 CARFAX One-Owner. Clean CARFAX. Polar White on Espresso Brown.PREMIUM ONE PACKAGE, COMMAND NAVIGATION, COMFORT ACCESS, SIRIUS XM SATELLITE RADIO, SMARTPHONE INTEGRATION, APPLE CARPLAY/ANDROID AUTO, LANE TRACKING PACKAGE, LANE KEEPING ASSIST, BACKUP CAMERA, HEATED STEERING WHEEL, DYNAMIC SELECT, COLLISION PREVENTION ASSIST PLUS, HEATED FRONT SEATS, AND MUCH MORE! !, $59,275 ORIGINAL MSRP!!. Polar White on Espresso Brown. PREMIUM PACKAGE, SIRIUS XM SATELLITE RADIO, COMFORT ACCESS, PREMIUM INTERIOR AMBIENT LIGHTING, COMMAND NAVIGATION, BACKUP CAMERA, POWER SLIDING PANORAMIC SUNROOF, HEATED STEERING WHEEL, BURMESTER PREMIUM SURROUND SOUND SYSTEM, HEATED FRONT SEATS, RAIN SENSING WINDSHIELD WIPERS, POWER TAILGATE, AND MUCH MORE! !, $49,570 ORIGINAL MSRP!!. Certified. Mercedes-Benz Certified Pre-Owned Details: * Transferable Warranty * Vehicle History * 165 Point Inspection * Warranty Deductible: $0 * Includes Trip Interruption Reimbursement and 7 days/500 miles Exchange Privilege * Limited Warranty: 12 Month/Unlimited Mile beginning after new car warranty expires or from certified purchase date * Roadside Assistance CARFAX One-Owner. Clean CARFAX. Odometer is 15299 miles below market average! 21/28 City/Highway MPG Black on Black.PREMIUM PACKAGE, SIRIUS XM SATELLITE RADIO, COMFORT ACCESS, PREMIUM INTERIOR AMBIENT LIGHTING, COMMAND NAVIGATION, BACKUP CAMERA, POWER SLIDING PANORAMIC SUNROOF, HEATED STEERING WHEEL, BURMESTER PREMIUM SURROUND SOUND SYSTEM, HEATED FRONT SEATS, RAIN SENSING WINDSHIELD WIPERS, POWER TAILGATE, AND MUCH MORE! !, $49,570 ORIGINAL MSRP!!. $52,575 ORIGINAL MSRP, REMOTE START, COLLISION PREVENTION ASSIST PLUS, PREMIUM PACKAGE, MULTIMEDIA PACKAGE, 8.4 HIGH RESOLUTION DISPLAY, NAVIGATION, BACKUP CAMERA, PANORAMA ROOF, HEATED STEERING WHEEL, LED HEADLIGHTS AND TAIL LIGHTS, BURMESTER SURROUND SOUND STEREO SYSTEM, HEATED FRONT SEATS, AND MUCH MORE. Certified. Mercedes-Benz Certified Pre-Owned Details: * Warranty Deductible: $0 * Vehicle History * Roadside Assistance * Limited Warranty: 12 Month/Unlimited Mile beginning after new car warranty expires or from certified purchase date * 165 Point Inspection * Transferable Warranty * Includes Trip Interruption Reimbursement and 7 days/500 miles Exchange Privilege Clean CARFAX. Odometer is 3057 miles below market average! 21/28 City/Highway MPG Red on Silk Beige.$52,575 ORIGINAL MSRP, REMOTE START, COLLISION PREVENTION ASSIST PLUS, PREMIUM PACKAGE, MULTIMEDIA PACKAGE, 8.4 HIGH RESOLUTION DISPLAY, NAVIGATION, BACKUP CAMERA, PANORAMA ROOF, HEATED STEERING WHEEL, LED HEADLIGHTS AND TAIL LIGHTS, BURMESTER SURROUND SOUND STEREO SYSTEM, HEATED FRONT SEATS, AND MUCH MORE. Due to our varied stock of popular certified pre-owned options, we’re confident that you’ll find a model you love within your budget. Have questions, such as, “Can I trade-in a financed car?” Feel free to contact us about our used inventory before making your way from Providence to take a test drive.